These flowers are being watered. Water is, obviously, an odorless, tasteless liquid, a compound of hydrogen and oxygen, and, by extension, any body of water such as oceans or seas. In the plural form waters, it means both ‘the sea bordering and controlled by a country’ and ‘water from a mineral spring.’ As a verb, to water means to make wet or sprinkle with water, as you do with plants, and, in reference to eyes or mouths, it means to fill up with liquid. It is important to drink plenty of water, especially in hot weather. Much of the Earth's surface is covered in water. The ferry is now entering British waters. In the 18th and 19th centuries, a lot of people used to go to the English city Bath to take the waters. 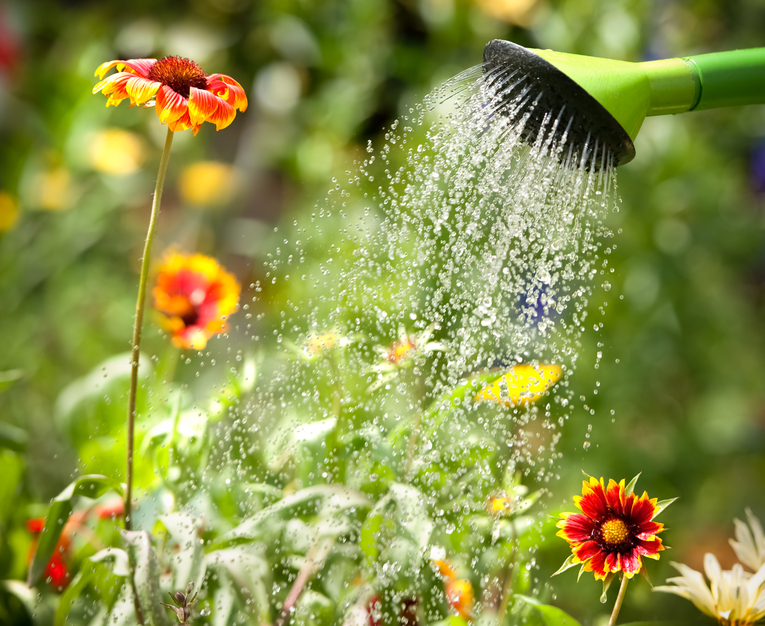 Some plants need to be watered more often than others. My eyes water when I cut onions. The food smells amazing. My mouth is watering. Water (or waters in the UK) also refers to the amniotic fluid surrounding a fetus in the womb. When a woman is about to give birth, this sack of fluid breaks and gushes out. When this happens, we say the woman’s water has broken. Water was suggested by a user from Japan.